Between 1945 and 1953, writes Mitcham (1994), technology took the world stage in defiance of the human mind that fostered it up: USA A-bomb (1945), Electronic Numerical Integrator and Computer (1946), USSR A-bomb (1949), kidney transplant (1950), USA H-bomb (1951), USSR H-bomb (1952), DNA (1953). Between 1954 and 1962 the new powers were put to use within traditional frameworks, with increasingly conflictive results: USS Nautilus (1954), commercial electricity from nuclear power (1955), birth control pill (1955), Sputnik I (1957), radioactivity accidents in Western and Eastern Europe (1957), integrated circuit (1959), laser (1960), Vostok I (1961), Mariner 2 (1962). Then came a period of trying to adapt or alter those frameworks, punctuated by more technological disasters. 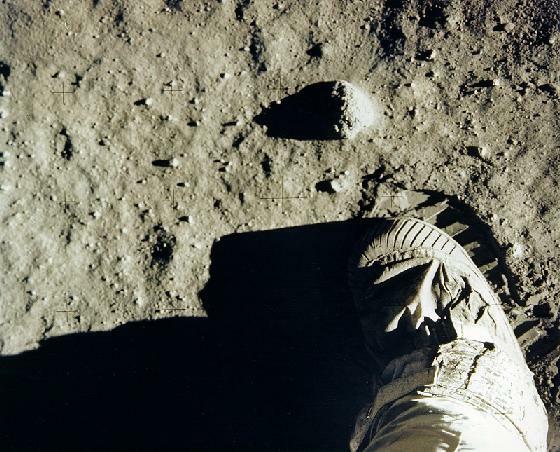 The period comprised between 1963 and 1972 was one of the most creative in the history of science and technology policies. Human, political, and economic frameworks were adapted or altered, initiatives in assessment and control were taken: limited nuclear test ban treaty (1963), USS Thresher sinks (1963), Vostok 6 (1963), Harvard University Programme on Technology and Society (1964), New York City power failure (1965), B-52 carrying four H-bombs crashes in Spain (1966), Torry Canyon spills 30 million gallons of crude oil onto UK beaches (1967), Humanae vitae rejects artificial contraception (1968), USS Scorpion sinks (1968), Apollo 11 (1969), Environmental Protection Agency (1969), oil well blow-out in Santa Barbara (1969), Greenpeace (1969), Earth Day (1970), Institute of Electrical and Electronic Engineers Committee on the Social Implications of Technology (1972), DDT banned (1972), United Nations Stockholm Conference on the Human Environment (1972), The Limits to Growth by the Club of Rome (1972). 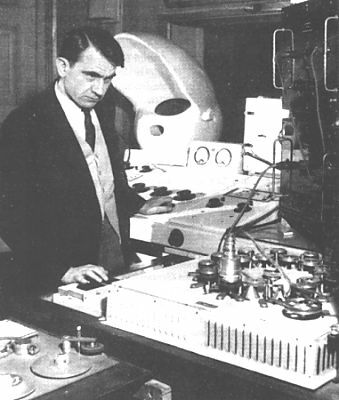 Pierre Schaeffer was born in Nancy on 15 August 1910. His father was a violinist, his mother a singer. Schaeffer studied the cello at the Nancy conservatoire. Between 1918 and 1922 Spengler saw in the downfall of the West the promise of a golden age of engineers (Adorno 1951). In 1928 Beyer stated that the music to come should no longer be expected to follow from compositional practice and Valéry claimed that changes in the old business of the beautiful had been such as to bear upon the notion itself of art. Schaeffer attended the École Polytechnique from 1929 to 1931 and went on to study electricity and telecommunications. In 1932 Jakobson (1932a) remarked that European and African musical systems were not reducible to one another, and he argued for the shift from silent screen to sound film (Jakobson 1932b). In 1934 Schaeffer was appointed to the Strasbourg telecommunications service. In 1935 Heidegger asserted that violence had long been done to the thingly element of things, and that thought had played a part in that violence. In 1936 Benjamin affirmed that, in the age of technical reproducibility, art could take on a political function; Schaeffer was transferred to the Paris radio service. In 1938 Adorno bemoaned the decay of hearing brought about by modern technology; Schaeffer (1938b) committed to paper lessons and exercises for the mixing-desk musician and took up discussion on ordinary binaural listening and radio listening in the Revue musicale (Schaeffer 1938a). In 1941 he subsumed cinema and radio under the notion of relay-arts, likening their media to an instrument whose dual role was to retransmit in a certain manner what we used to see or hear directly and to express in a certain manner what we used not to see or hear (Schaeffer 1941b): at ease in the abstract domain, ill at ease in the concrete domain, writing yearned for concretion; at ease in the concrete domain, ill at ease in the abstract domain, the relay-arts yearned for abstraction (Schaeffer 1941a). With the metteur en scène Jacques Copeau in 1942, Schaeffer organized the Beaune workshops on radio acting, to exploit the new margin of nuances offered by the blind listeners sharpness of hearing. 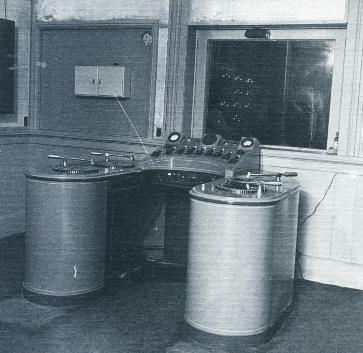 In 1943 Copeau set forth a poetics of microphone diction; Schaeffer set up a laboratory for experiments in radio production, the Studio dEssai of the Radiodiffusion Nationale. 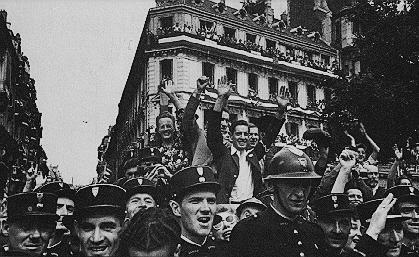 From 1943 to 1944 he created the experimental radio series La coquille à planètes and, on 22 August 1944, 10:30 p.m. (Schaeffer 1990), was responsible for the first broadcasts in an almost liberated Paris. In 1946 Schaeffer (1946a) published on the non-visual component of cinema. On Thursday, 18 December 1947, Ponge (1961) mused: Perhaps I am not very intelligent; in any case, ideas are not my forte. I have always been disappointed in them. In January 1948 Schaeffer started research into noises, which led to the five Études de bruits (Bayle org. 1990) that set musique concrète afoot. The Études were broadcast by the French Radio in a concert de bruits on 5 October 1948. Their genesis and manufacture were narrated in Introduction à la musique concrète (Schaeffer 1950). Working in a modified radio studio, Schaeffer employed a disk-cutting lathe, four turntables, a four-channel mixer, filters, an echo chamber, and a mobile recording unit. Techniques at play involved variation of recording and reproduction speeds, sampling and editing by manipulation of the pickup, locking of recorded grooves, backwards playing of disks, loudness modulations, fade-in and fade-out. Sound-producing bodies sampled included, on the same footing, stokers on six locomotives with personal voices and buffers conducted by Schaeffer at the Batignolles depot (later combined with library samples of rolling wagon wheels); an amateur orchestra at Salle Érard tuning up to a clarinet call thus embellished with fioriture (later combined with Jean-Jacques Grunenwalds piano improvisations live at the studio); Boulez on the piano in classic, romantic, impressionist, and atonal harmonizations of a given theme (later cut, reversed, and spliced). Closing the set, an ad libitum mix of objets trouvés gathered Balinese music, American harmonica, and French barge round Sacha Guitrys singing  which the continuity-girls coughing halted  in a virtuoso performance at four potentiometers and eight ignition keys (Schaeffer 1950) by a techno DJ half a century ahead of the times (see Riddell 1996 and Henry in interview to Khazam 1997). Being mentally conceived, notated in symbols, and performed by instrumentalists, traditional music moved from musical abstraction to sonic concretion. Discovering sound-producing bodies and manners of putting them into vibration, recording the sounds obtained, manipulating such recordings, listening to them and trying out structurations, musique concrète would move from the sonic concretum to musical abstraction. Schaeffer advocated a cross-fertilization of procedures. À la recherche dune musique concrète (Schaeffer 1952) expanded the narrative, advanced new theorizations, and sketched an operational lexicon. To establish a new sonic domain on the edge of music or to engraft new sounds upon old musical forms? Olivier Messiaen, Henry Michaux, and Claude Lévi-Strauss urged Schaeffer to break with the past. In 1951 the French Radio presented the Groupe de Recherche de Musique Concrète, which at the time consisted of Pierre Schaeffer,  the engineer Jacques Poullin, and the composer-percussionist Pierre Henry, with the first purpose-built electroacoustic music studio ever. The collaboration between Schaeffer and Poullin, in its fourth year, was resulting in a three-track tape recorder, a machine with ten playback heads to replay tape loops in echo (the morphophone), a keyboard controlled machine to replay tape loops at twenty-four pre-set speeds (the keyboard, chromatic, or Tolana phonogène), a slide-controlled machine to replay tape loops at a continuously variable range of speeds (the handle, continuous, or Sareg phonogène), and a device to distribute live an encoded track across four loudspeakers, including one hanging from the centre of the ceiling (the potentiomètre despace). Output from 1951 to 1953 comprised Étude I (1951) and Étude II (1951) by Boulez, Timbres-durées (1952) by Messiaen, Étude aux mille collants (1952) by Stockhausen, Le microphone bien tempéré (1952) and La voile dOrphée (1953) by Henry, Étude I (1953) by Philippot, Étude (1953) by Barraqué, the mixed pieces Toute la lyre (1951) and Orphée 53 (1953) by Schaeffer\Henry, and the film music Masquerage (1952) by Schaeffer and Astrologie (1953) by Henry. In 1954 Varèse and Honegger visited to work on the tape parts of Déserts and La rivière endormie. In 1953 the Groupe de Recherche de Musique Concrète of the Radiodiffusion-Télévision Française rallied elektronische Musik, music for tape, and exotic music under the banner of experimental music to compare methods and establish complementary research programmes (Palombini 1993). Written in 1953 and published in 1957, Vers une musique expérimentale minimized frictions. Considering that tonal relations were inherent in the construction and technique of Western instruments, Schaeffer in principle objected to serial methods as applied to traditional instruments, but he observed that, in practice, the listening to such pieces could be validated by a certain technique of hearing. Considering that when applied to sound qualities other than pitch the series would lose its negative character and open to new sounds the domains of tradition, Schaeffer in principle accepted the application of serial methods to complex sounds, but he observed that, in practice, such sounds had little to gain from systematic recourse to serial techniques. The methodological syncretion awaited failed to materialize. In Paris and in Cologne, manipulated samples and electronically-produced sounds amalgamated into Henrys Haut voltage and Stockhausens Gesang der Jünglinge in 1956. In 1957 Schaeffer (1957a) outlined the method of research after musique concrète. Étude aux allures (1958), Étude aux sons animés (1958), and Étude aux objets (1959) illustrated that method. In 1958 the Groupe de Recherches de Musique Concrète was transformed into Groupe de Recherches Musicales. In 1959 Tolana advertised the phonogène Universel, which dissociated downward and upward shifts in tessitura (spectral transposition) from distension and contraction of dynamic shapes (temporal transposition). In 1954 Heidegger (1954b) stated that humans were delivered over to technology in the worst possible way when they regarded it as something neutral; for this conception of it, to which they particularly liked to do homage, made them utterly blind to the essence of technology. Because the essence of technology was nothing technological, essential reflection upon technology and decisive confrontation with it ought to happen in a realm that were, on the one hand, akin to the essence of technology and, on the other, fundamentally different from it. Such a realm was art. But only if the arts were not conceived as deriving from the artistic, if art works were not enjoyed aesthetically, if art were not a sector of cultural activity. Art demanded to be reconducted to the golden age of Greek techne. In 1958 Simondon saw culture as unbalanced because it enshrined the aesthetic object in the world of significations while driving the technical object back into the structureless world of what had no signification but a use. Simondon sought to integrate the machine into the family of human things as a component of a global rebirth of culture (Hart 1989). The gap which separated the occidental man from the work of his hands demanded to be bridged. And the activities of the craftsman, simultaneously ancient and modern, provided a model of understanding, employment, and humanization of the machine. Schaeffer delivered Traité des objets musicaux: essai interdisciplines in 1966 after fifteen years of labour. The work was dedicated to the memory of his father, whose precept  practise your instrument  the author passed on. Traité follows a zigzag course in seven jumps named books. Book One links the genesis of music to the birth of the musical instrument, defined as the causal permanence that engenders an organization of sound characters (and hence timbre), out of which variations of musical values (paradigmatically, pitch) appear. Book Two postulates four functions of listening. Ouïr (to hear) is to posit iconic (i.e. similarity based) relations between representamen and object (or signifier and signified): on the verge of semiosis, creaks lay dormant in the background noise. Écouter (to listen) is to posit indexical (i.e. causal) relations between representamen and object: creaks stand for ungreased hinges. Comprendre (to comprehend) is to establish symbolic (i.e. consensual) relations between representamen and object: creaks stand for tempered pitches agreeable to a metrics of successive divisional operations. And because hearing, listening, understanding, and comprehending all are lexicalized acceptations of entendre  by semantic derivation from the etymological sense, to turn ones attention  the French language allows Schaeffer to construe entendre as to hear, listen, understand, and comprehend in mindfulness of ones intention. Thus sounds open themselves up to iconism, indexicality, and symbolism with intent. Reduced listening follows thence as a bracketing of symbolic and indexical relationships such as references to the traditional solfège and to source or causality might afford, whereby the sonic object unveils itself as an aggregate of shape and matter qualities. As ouïr ebbs entendre flows, as entendre ebbs ouïr flows, and as such movements alternate, sonic things disclose themselves as sonic objects whose intrinsic qualities bespeak details of the sound-producing event and novel abstractive possibilities. Book Three shows the distinct natures of, on the one side, the physical measurements of frequency, time, amplitude, and spectrum, and, on the other, the subjective perceptions of pitch, duration, intensity, and timbre, thus highlighting the perceptual frailty of the soundest parametric construction. Book Four appropriates Husserl, Gestalt, Jakobson, Lévi-Strauss, Merleau-Ponty, and Saussure in the interest of musical research. Book Five sets forward criteria to single out sound units from sound continua (identificatory typology) and to select sonic objects where musicalness dwells in posse (classificatory typology). Book Six expounds the method of musical research and outlines seven criteria of the morphology of the potentially musical object that are likely to emerge as musical values in the context of structurations: mass, dynamics, harmonic timbre, melodic profile, mass profile, grain, and allure. Enlarged for the 1977 reprint, Book Seven comes to the conclusion that no universal polymorphous musicalness has arisen from the systematic analysis of sonic objects. The nexus of Schaeffers research becomes transparent when some avatars of the question concerning the instrument speak their names: relay-arts (Scaheffer 1941a, 1941b, 1946b), or analogue techniques of sound and image reproduction as instruments of new art-forms; noise piano (Schaeffer 1950), or organizing heterogeneous sound-producing bodies into new musical instruments; turntable piano (Schaeffer 1950), or analogue techniques of sound reproduction as applied to the conception of a most generic musical instrument; cut bell and locked groove (Schaeffer 1950), or analogue sound manipulations as instrumental in the disclosure of the sonic reality; pseudo-instrument (Schaeffer 1952), or organizing sonic objects into virtual musical instruments; piano law (Schaeffer 1960, 1966, Schaeffer and Reibel 1967), or the inverse relation between spectral richness of resonance and incisiveness of attack across the piano tessitura (i.e. the lower the tone, the richer the spectrum and the less incisive the attack; the higher the tone, the poorer the spectrum and the more incisive the attack); characterology (Schaeffer 1952, 1966), or the systematic investigation of such laws as a means to retrieve the sound-producing event in sonic matters and shapes; translation (from symbols) into sound and translation from sound (into a simulacrum on the analogue medium (Schaeffer 1966, Schaeffer and Reibel 1967), or the traditional composers and the sound recordists divergent technologies of listening; acousmatic listening (Schaeffer 1966), or sound recording as an instrument to resurrect the poiesis of presocratic techne. In 1936 Benjamin expounded the decline of that unique appearance of a remote reality, however near (the aura of artworks and nature), as a result of the proliferation of technical reproduction. In 1954 Heidegger (1954a) evoked the flow of distanceless uniformity where all things were carried away and mixed up; by plane, the radio, the film, television, and the H-bomb. The bomb and its explosion were the mere final emission of what had long since taken place: the estrangement of Western thought from the thingness of the thing. Also in 1954, Heidegger (1954b) depicted the sinking of the object into the objectlessness of the standing reserve under the rule of Ge-stell, the essence of modern technology, according to which everything, including man himself, had become material for a process of self-assertive imposition of human will on things, regardless of their own essential natures (Hofstadter 1971). Schaeffers relay-arts instrument pertains to the history of technical reproducibility, and there is a close resemblance between the two manifestations of technical reproduction as expounded by Benjamin  artwork reproduction and the art of film  and the double role of the relay-arts instrument as expounded by Schaeffer: to retransmit in a certain manner what we used to see or hear directly and to express in a certain manner what we used not to see or hear (Palombini 1997, 1998). In the history of technical reproducibility, the relay-arts instrument materializes the shift from older handwork technology to that technology which, in the words of Heidegger, unlocks, transforms, stores up, distributes, and switches about the energies of nature, and whose essence Heidegger terms Ge-stell. The decline of the aura  a feat of technical reproducibility  is intersected by the sinking of the object into the objectlessness of the standing reserve  a feat of Ge-stell  but while the former paves the way for art as political praxis, the latter elicits from Heidegger an invitation to a return to the golden age of Greek techne. Is this not praxis? Pythagoras (see Kirk and Raven 1957) professed cyclic recurrence of events, metempsychosis, and kinship of humans with all living things. Yet he carried out scientific investigation more than anyone else (Heraclitus in Kirk and Raven 1957) and was not the lesser of Greek sages (Herodotus, ibid.). Upon Pythagoras death, his followers split into Acousmatics (practitioners of the mystic doctrine) and Mathematics (remarkable scientists). For Schaeffer (1966), music had not sprung from the numeric proportions of intervals. Larousse presented the Acousmatics as disciples of Pythagoras who, for five years, listened to the master speak from behind a veil, observing the strictest silence. Schaeffer metaphorized the analogue medium into that veil to unveil a hearing to which we have grown accustomed today: listening  on the telephone, tape, the radio  to sounds whose original source remains unseen. Freedom is that which conceals in a way that opens to light (Heidegger 1954b). The musical note, a notable assortment of pitch, duration, and intensity, has borne sway over European tradition and laid claim to universality. Owing to a notational system, the composer sings in silence, plays in silence, sight-reads in silence. The score prefigures the work, which is one and the same with the symbols of writing: Beethovens quartets lie in the storerooms of the publishing house like potatoes in a cellar (Heidegger 193536). The composer does not hear but reads, pre-listens. Schaeffer likens his demarche to the scholastic exercise of translating a text from ones mother tongue into a foreign language. The performer translates symbols and notions into sound, and an implicit, readable work, becomes explicit, audible to laymen. Still, there is something sonorous in a musical composition. The thingly element is so irremovably present in the art work that we are compelled rather to say conversely that the musical composition is in sound (ibid.). The sound recordist does not read but listens. Comparing the sound image generated by the electroacoustic chain with the original sound phenomenon, which originates from real instruments and unfolds in real magnitude over the acoustic field, he translates from sound. Schaeffer likens this demarche to the scholastic exercise of translating a text from a foreign language into ones mother tongue. In the first century Plutarch (n.d.) expostulated with youth about the exertion of speech to the detriment of listening: to listen extempore is ill-advised! He who plays the ball simultaneously learns to throw it and to catch it, but when it comes to speech, on the contrary, reception takes precedence of deliverance, just as conception and pregnancy precede birth. In 1931 Spengler showed vision as the Nordic predators sense par excellence, hearing as the preys. In 1953 Barthes traversed the geometry of the writers space: horizontally, the language, a consensual corpus common to all writers of a period; vertically, style, a repertoire of gestures  imagery, delivery, vocabulary  springing from the writers past; obliquely, écriture, an act of historical solidarity binding the writers utterance to the vast History of the Others. Schaeffer set sail from Literature in avoidance of the commitment of écriture for which writing pleaded. Bound for music, his commitment was all too clear: to reconcile technology to nature. Substituting perception for expression as the locus of such a commitment, he raised écriture to the second power; substituting hearing for seeing, he cubed it. Notwithstanding, three fallacies  Schaeffer is a composer, écriture is writing, and written note and written word are the selfsame sign  have compacted into a petitio principii: Schaeffer is the antithet to the écriture composer. Pierre Henry was born in Paris on 9 December 1927. He studied composition with Boulanger, harmony with Messiaen and percussion with Passerone. In 1949 he took his percussions to a studio at the French Radio to improvise, in the sight of the images, the music for Voir linvisible, a television documentary on slow-motion and the big close-up as devices to disclose natural phenomena. Henry went to Schaeffer disk in hand. 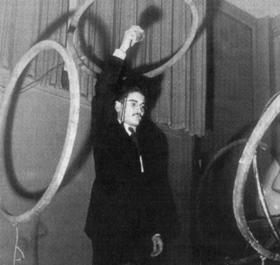 Schaeffer was fed up with hitting boxes and grating sound-producing bodies: I said to myself: after all, the conservatoire trains good percussionists, and it was at that point, I think, that someone mentioned Pierre Henry (Chion 1980). When Schaeffer heard my recording he said that it was similar to what he was doing and he showed me how to speed it up, slow it down, reverse it and record sounds on locked grooves (Henry interviewed by Khazam 1997). In July 1962 Henry took his Tolana tape recorder to a farmhouse near Carcassone. Microphones were installed at the pigsty, poultry yard and streams across the meadow. Incoming signals were fed to a mixing desk in the ground floor, from where the farm was auscultated. Henry made the pigs go without food for the sake of their squeals, chased the chickens to make the most of their cackling, built weirs in the streams to take full advantage of the flowing water. He practised the barn door daily. A Neumann U-47 bore witness to his performance: now with tiny wrist movements, now shaking it like a madman, bestriding it, making it yell (Chion 1980). The door flew off the handle but did not come off its hinges. Henry did obeisance to its law: the faster the movement, the higher the tone and the smoother the grain; the slower the movement, the lower the tone and the craggier the grain. On a huge wooden table in Paris, the door was cut and the cuts were classed, numbered and named. Experiments of association were made. Takes underwent minute slicing and splicing. Manipulations were kept to a minimum: echo chamber, panning, multi-tracking. In June 1963 the barn door from Vic unbosomed its secrets from inside the confessionals of the magnificently reverberating church of Saint-Julien-le-Pauvre in Paris. With musique concrète Schaeffer has brought the technical objects concrescence (see Simondon 1958) to bear upon the problematics of Western composition. With acousmatic listening he has brought the tape machine into play as a component of a global rebirth of culture. With the sonic object he has brought listening to recorded sounds into the world of significations. With reduced listening he has brought hearkening to sonic things up to date with the poetics of Varèse, Scelsi, Ponge, Freud, Heidegger, Barthes, Lacan, and Calvino. Schaeffer died on 19 August 1995. My essential role is to communicate a manner of comprehending, feeling, and acting that may seem, from the outside, terribly personal. In fact, I am but a relay myself (Brunet 1969). So far as it sets upon the independent and self-supporting sonic thing and challenges it to reveal itself, in the mode of scales that must be guaranteed either simultaneously or in sequence, as standing reserve of a musicalness which is conceived as universal, reduced listening partakes of Ge-stell. Yet measuring is inherent in the digital sound domain and the Book of Changes provides a notoriously ancient example of binary data happily married to highly refined representations of nature. [*] This article has been written for Music of the Twentieth Century Avant-Garde: A Biocritical Sourcebook, edited by Larry Sitsky, from the Canberra School of Music (Australian National University), for Greenwood Press (Westport and London, 2002); prepublished online by kind permission of Greenwood Press in 1999. This illustrated and revised edition has been prepared by the author for the Electronic Musicological Review in 2002. © of this version: Electronic Musicological Review. Schaeffer exhumes the oppositions ouïr/écouter, where ouïr signifies the physiological phenomenon, écouter the psychological act; entendre/écouter, where entendre signifies the physiological phenomenon, écouter the psychological act; and ouïr/entendre, where ouïr signifies the physiological phenomenon, entendre the psychological act (cf. Littré 1877 and Barthes 1977). Notwithstanding this, Schafer (1977) notes that, unlike Schaeffers sonic object, the soundscape cannot dispense with causality and meaning. Smalley (1986) slices typo-morphology into pieces, splices them into spectro-morphology  a preferable term  and pronounces spectro-morphological thinking the rightful heir of Western musical tradition. Rissets 1966 discovery  by digital analysis and synthesis  that the brassy character of trumpet tones ensues from a linkage between amplitude increase and upper partials boost fits into the Characterology project. Lerdahl (1987) purports to lay the foundations of an authentic syntax of timbre, likewise modelled on tonality. In 1975 Stefani opened the proceedings of the First International Congress on Musical Semiotics avouching that the object of musical semiotics was the score, since no theory of the musical Text existed yet, and Schaeffers sonic object would not be reckoned with. For details of the various versions of each piece, the grouping of isolated pieces into a series (e.g., Henrys Microphone bien tempéré), the transformation of a piece from a particular series into an independent piece (e.g., Schaeffers Concertino diapason) etc, see Bayle ed. 1980. As a rule, the date provided immediately after the authors or editors name is that of first known publication. In those cases where the publication consulted has not been the first, the date of publication of the text consulted appears immediately after the publishers name (occasionally, two dates will appear in this position, representing, the first, a publication known to the present author, and, the second, the publication he is actually remitting himself to). Such cases comprise Copeaus title, written in1943; Nietzsches Nachgelassene Fragmente; the two excerpts on the relay-arts, by Schaeffer; his notes on radiophonic expression; and his article on experimental music. For Heideggers Der Ursprung des Kunstwerkes, the date given is that of its writing. For Schaeffers La coquille à planètes, the date given is that of the piece conclusion and first boradcast: the edition cited (1990) couples the original 12-hour text of 1944 (with indications of parts elided in the second version) with the 1946 recording of the 8-hour second version. ADORNO, Theodor. 1938. Über den Fetischcharakter in der Musik und die Regression des Hörens. Dissonanzen: Musik in der vervalteten Welt. In Gesammelte Schriften XIV. Frankfurt am Main: Suhrkamp, 1990 (iii), pp 1450. ADORNO, Theodor. 1951. Minima Moralia: Refexionen aus dem beschädigten Leben. In Gesammelte Schriften IV. Frankfurt am Main: Suhrkamp, 1980. ARTAUD, Antonin. 1925. Lombilic des limbes. In uvres complètes I. Paris: Gallimard, 1964. BARTHES, Roland. 1953. Le degré zéro de lécriture. In uvres complètes I. Paris: Seuil, 1993, pp 13787. BARTHES, Roland. 1974. Laventure sémiologique. In uvres complètes III. Paris: Seuil, 1995: 3640. BARTHES, Roland. 1977. Écoute. In uvres complètes III. Paris: Seuil, 1995, pp 72736. BAUDELAIRE, Charles. 1857. Linvitation au voyage. Le spleen de Paris. In uvres complètes I. Paris: Gallimard, 1975, 1983, pp 3013 (text) e 132224 (notes). BAYLE, François (ed.). 1980. Répertoire acousmatique 19481980. Paris: INA-GRM. BAYLE, François (ed.). 1990. Pierre Schaeffer: luvre musicale. 4 CDs and text. Paris: INA-GRM/Séguier, distr. Adda. BENJAMIN, Walter. 1936. Das Kunstwerk im Zeitalter seiner technischen Reproduzierbarkeit. In Gesammelte Schriften I.2. Frankfurt am Main: Suhrkamp, 1990 (iii), pp 431508. BEYER, Robert. 1928. Das Problem der kommenden Musik. Die Musik. For a French trans., see Ars sonora 3, available by FTP (MS Word 5.1 for Mac) from <http://julienas.ipt.univ-paris8.fr/~arsonora/revue/rev-indx.htm>. BRUNET, Sophie. 1969. Pierre Schaeffer. Paris: Richard-Masse. BRUNET, Sophie (ed.). 1977. Pierre Schaeffer: de la musique concrète à la musique même: Revue musicale 3035. CADOZ, Claude, LUCIANI, Annie and FLORENS, Jean-Loup. 1984. Responsive Input Devices and Sound Synthesis by Simulation of Instrumental Mechanisms: the Cordis System. Computer Music Journal 8 (3): 6073. CALVINO, Italo. 1979. Felice tra le cose. Corriere della Sera 29 July. Later as: Francis Ponge. Perché leggere i classici. Milano: Mondadori, 1991, 1995 (enlarged), pp 25358. CHION, Michel. 1980. Pierre Henry. Paris: Fayard/SACEM. CHION, Michel. 1997. Une réaction de Michel Chion. Ars sonora 5. The journal website has been discontinued but the article is available online from revue audiolab, <http://homestudio.thing.net/revue/content/asr5_05.html>, or by FTP from <http://julienas.ipt.univ-paris8.fr/~arsonora/revue/rev-indx.htm> (MS Word 5.1 for Mac). COPEAU, Jacques. 1943. Écrit en 1943. In Schaeffer 1989: 7981. DALLET, Sylvie and BRUNET, Sophie. n.d. (1997). Itinéraires dun chercheur: bibliographie commentée de luvre éditée de Pierre Schaeffer  A Career in Research: Pierre Schaeffer, a Commented Bibliography of Published Works. Montreuil-sous-bois: Centre dÉtudes et de Recherche Pierre Schaeffer. DAVIS, Watson, STAFFORD, Jane, VAN de WATER, Marjorie, MATTHEWS, Sam and LIKELY, Wadsworth (Science Service Inc.). 1950. 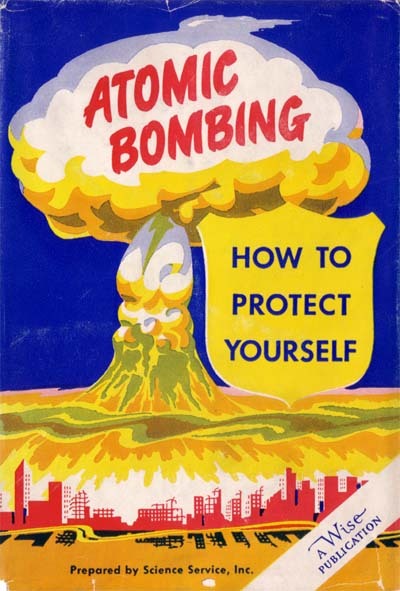 Atomic Bombing: How to Protect Yourself. New York: Wm. H. Wise & Co., Inc. Online at <http://foody.org/atomic/atomic00.html>. EMMERSON, Simon (ed.). 1986. The Language of Electroacoustic Music. London: Macmillan. FREUD, Sigmund. 1912. Ratschläge für den Arzt bei der psychoanalytischen Behandlung. In Gesammelte Werke VIII. Frankfurt am Main: Fischer, 1990 (viii), pp 37587. HANDELMAN, Eliot. 1995. Cybersemiosis: 2nd Worlds  2nd Perception. <http://www.generation.net/~eliot/cybersem-1.html>. HART, John. 1989. Préface. In Simondon 1958: ixii. HEIDEGGER, Martin. 193536. Der Ursprung des Kunstwerkes. Holzwege. In Gesamtausgabe V. Frankfurt am Main: Klostermann, 1977, pp 174. HEIDEGGER, Martin. 1954a. Das Ding. Vorträge und Aufsätze. Pfullingen: Günther Neske, 1967 (iii), v. 2, pp 3759. HEIDEGGER, Martin. 1954b. Die Frage nach der Technik. Vorträge und Aufsätze. Pfullingen: Günther Neske, 1967 (iii), v. 1, pp 536. HEIDEGGER, Martin. 1971. Poetry, Language, Thought. New York: Harper and Row. HOFSTADTER, Albert. 1971. Introduction. In Heidegger 1971: ixxxii. JAKOBSON, Roman. 1932a. Musikwissenschaft und Linguistik. In Selected Writings II. Den Haag: Mouton, 1971, pp 5759. JAKOBSON, Roman. 1932b. Úpadek filmu? Engl. trans. : Is the Film in Decline? In Selected Writings III. Den Haag: Mouton, 1981, pp 73239. KHAZAM, Rahma. 1997. Electroacoustic Alchemist. The Wire 160: 3740. KIRK, G. S. and RAVEN, J. E. 1957. The Presocratic Philosophers: a Critical History with a Selection of Texts. Cambridge: Cambridge University Press, 1966 (vi). LACAN, Jacques. 1966. Linstance de la lettre dans linconscient ou la raison depuis Freud. Écrits. 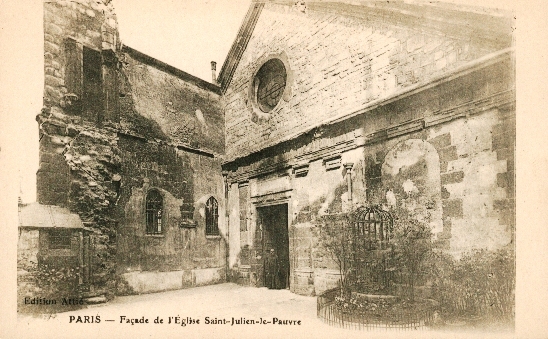 Paris: Seuil, pp 493528. LERDAHL, Fred. 1987. Timbral Hierarchies. Contemporary Music Review 2 (1): 13560. LIEH-TZU. 732. Hsin i Lieh-tzu tu pen Lieh-tzu. French trans. : Le Vrai Classique du vide parfait. In Philosophes taoïstes. Paris: Gallimard, 1980, pp 359609 (text) and 681702 (notes). LITTRÉ, Paul-Émile. 1877. Dictionnaire de la langue française. Chicago: Encyclopaedia Britannica, 1978, 4 vv. MACHOVER, Tod (ed.). 1984. Musical Thought at IRCAM: Contemporary Music Review 1 (1). NIETZSCHE, Friedrich-Wilhelm. 1881. Frühjahr  Herbst 1881. Nachgelassene Fragmente 18801882. In Sämtliche Werke: kritische Studienausgabe herausgegeben von Giorgio Colli und Mazzino Montinari IX. Berlin: de Gruyter, 1988, pp 441572. PALOMBINI, Carlos. 1993. Pierre Schaeffer, 1953: towards an Experimental Music. Music and Letters 74 (4): 54257. Also in the Electronic Musicological Review 3, <http://www.humanas.ufpr.br/rem/REMv3.1/vol3/Schaefferi.html>. PALOMBINI, Carlos. 1997. Technology and Pierre Schaeffer. MikroPolyphonie 4.01, <http://farben.latrobe.edu.au/mikropol/volume4/palombini-c/palombini-ab.html>. PALOMBINI, Carlos. 1998. Technology and Pierre Schaeffer: Walter Benjamins technische Reproduzierbarkeit, Martin Heideggers Ge-stell and Pierre Schaeffers Arts-Relais. Organised Sound 3 (1): 3543. PIERRET, Marc. 1969. Entretiens avec Pierre Schaeffer. Paris: Belfond. PLUTARCH. n.d. Peri tou akouein  De recta ratione audiendi. Ital. trans. : Larte di ascoltare. Milano: Modadori, 1995. PONGE, Francis. 1942. Le parti pris des choses. Paris: Gallimard. PONGE, Francis. 1961. Méthodes. Paris: Gallimard. RIDDELL, Alistair. 1996. Ecstasy Solfège. Sounds Australian, v. 14, n. 47, pp 68. Also at <http://www.alphalink.com.au/~amr/ES.html>. RISSET, Jean-Claude. 1966. Computer Study of Trumpet Tones. Murray Hill: Bell Laboratories. SCHAEFFER, Pierre. 1938a. Verités premières. Revue musicale 184: 41415. Also in Brunet ed. 1977: 1617. SCHAEFFER, Pierre. 1938b. Vingt leçons et travaux pratiques destinés aux musiciens mélangeurs. Paris: Radio Française (internal publication). SCHAEFFER, Pierre. 1941a. Esthétique et technique des arts-relais. In Brunet ed. 1977: 1923. SCHAEFFER, Pierre. 1941b. Technique et esthétique des arts-relais. In Pierret 1969: 9192. SCHAEFFER, Pierre. 1944. La coquille à planètes: suite fantastique pour une voix et douze monstres. 4 CDs and text. Paris: distr. Adès, 1990. SCHAEFFER, Pierre. 1946a. Lélément non visuel au cinéma: (I) Analyse de la bande son; (II) Conception de la musique; (III) Psychologie du rapport vision-audition. Revue du cinéma 1 (13): 4548, 6265 and 5154. SCHAEFFER, Pierre. 1946b. Notes sur lexpression radiophonique. Machines à communiquer I: genèse des simulacres. Paris: Seuil, 1970, pp 89118. SCHAEFFER, Pierre. 1950. Introduction à la musique concrète. La musique mecanisée: Polyphonie 6: 3052. SCHAEFFER, Pierre. 1952. À la recherche dune musique concrète. Paris: Seuil. SCHAEFFER, Pierre. 1953. Vers une musique expérimentale. In Schaeffer ed. 1957b: 1127. SCHAEFFER, Pierre. 1957a. Lettre à Albert Richard. In Schaeffer ed. 1957b: iiixvi. SCHAEFFER, Pierre (ed.). 1957b. Vers une musique expérimentale: Revue musicale 236. SCHAEFFER, Pierre. 1960. Note on Time Relationships. Gravesaner Blätter 17: 4177. SCHAEFFER, Pierre. 1966. Traité des objets musicaux: essai interdisciplines. Paris: Seuil, 1977 (enlarged reprint). SCHAEFFER, Pierre. 1969. Réflexions de Pierre Schaeffer. In Brunet 1969: 107215. SCHAEFFER, Pierre. 1989. Dix ans dessais radiophoniques: du Studio au Club dEssai, 19421952. (Orig. ed. 1955). 4 CDs and text. Arles: Phonurgia-Nova/INA-GRM. SCHAEFFER, Pierre. 1990. Propos sur la Coquille. Arles: Phonurgia Nova. SCHAEFFER, Pierre and MÂCHE, François-Bernard (eds). 1959. Expériences musicales  musiques concrète, électronique, exotique: Revue musicale 244. SCHAEFFER, Pierre and REIBEL, Guy. 1967. Solfège de lobjet sonore. Paris: Seuil/GRM. 3 LPs and text. SCHAFER, Murray. 1977. The Tuning of the World. New York: Knopf. SIMONDON, Gilbert. 1958. Du mode dexistence des objets techniques. Paris: Aubier, 1989 (iii). SPENGLER, Oswald. 191822. Der Untergang des Abendlandes: Umrisse einer Morphologie der Weltgeschichte. München: Becksche, 2 vv. STEFANI, Gino (ed.). 1975. Actes du Premier Congrès Internacional de Sémiotique Musicale. Pesaro: Centro de Iniziativa Culturale. VALÉRY, Paul. 1928. La conquête de lubiquité. In uvres II. Paris: Gallimard, pp128487 (text) and 1580 (notes), 1960. Carlos Palombini is associate professor of Musicology in the Music School of the Federal University of Minas Gerais at Belo Horizonte, Brazil. His writings have appeared in the Computer Music Journal, Music and Letters, Organised Sound, Mikropolyphonie, Leonardo, the Leonardo Music Journal, the Leonardo Electronic Almanac, Synteesi, Eunomios, eContact!, Ethnomusicology On-Line, the Electronic Musicological Review etc.